Organization: 1 channel= 16x8 yd. Blue cones 10 yd apart and 10 yd from tall cone. 1 ball per pair. Players keep in the same pairs, set up like above, 1 ball between two. 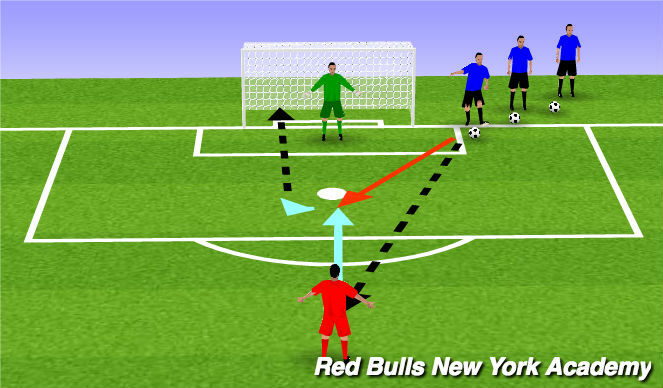 Players are shooting their ball through the 2 tall cones and to their partner on the other side, they will then repat for 5 minutes varying the distance they shoot. 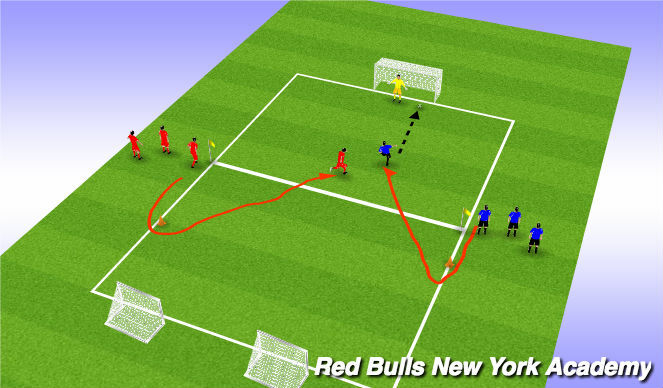 Players go 1v1 to goal one team is always offense and the other starts as defense. Change after 2 min. 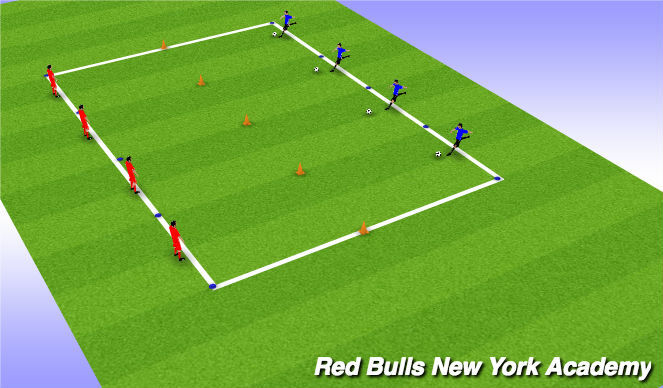 Players are required to run around the tall cone before receving the pass from the coach and take the ball to goal. The defensive cone is 8 yards from the starting position while the attacking cone is only 5, this will allow the attacker to have the adcvantage but still give the defense an oppertunity to be sucessful from time to time.